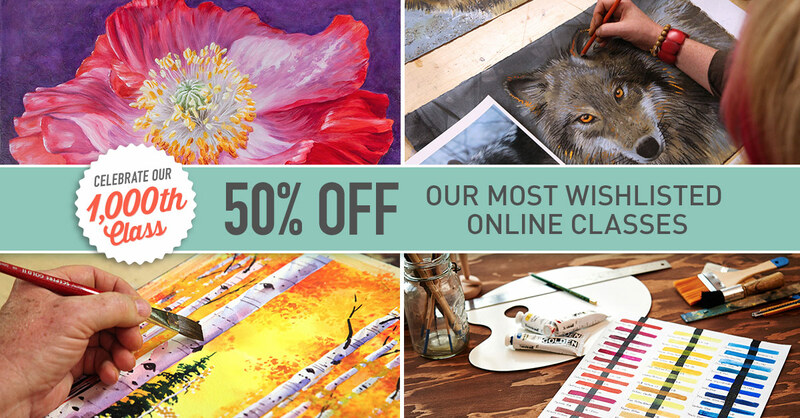 To celebrate their 1,000th online class, Craftsy is giving you the chance to get 50% off the most commonly ‘wishlisted’ classes! That class you have had your eye on for a while might just be on sale. Why not see for yourself and browse these deals before they’re gone? Hurry, the offer ends Thursday! Click HERE to check out all the great classes!